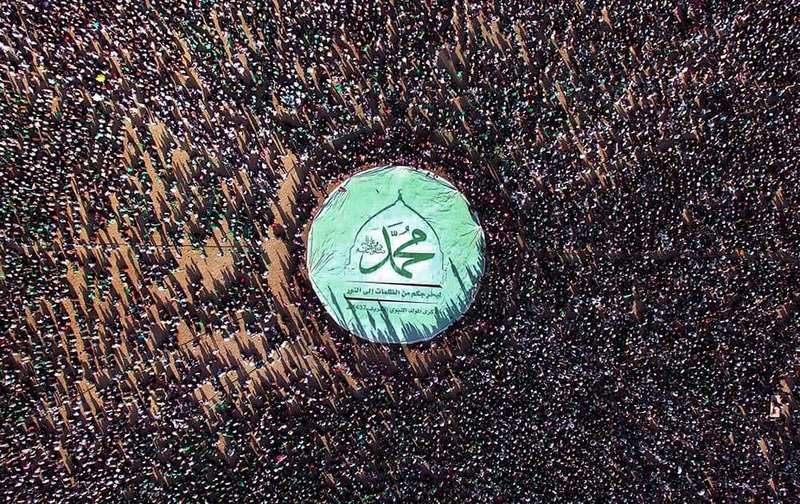 Shiite rebels, known as Houthis, stand around a large banner with Arabic writing that reads,Muhammed during the celebration of Moulid Al-Nabi, the birth of Islams Prophet Muhammad in Sanaa, Yemen. 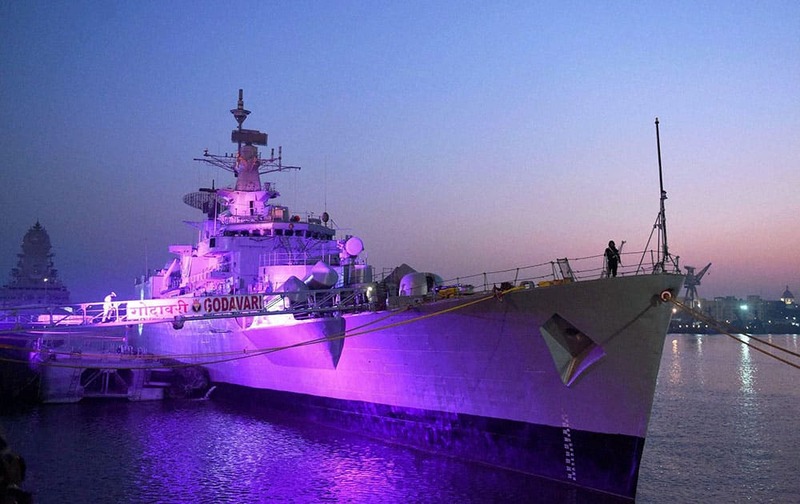 INS Godavari lit up during its decommissioning at the naval dockyard in Mumbai. 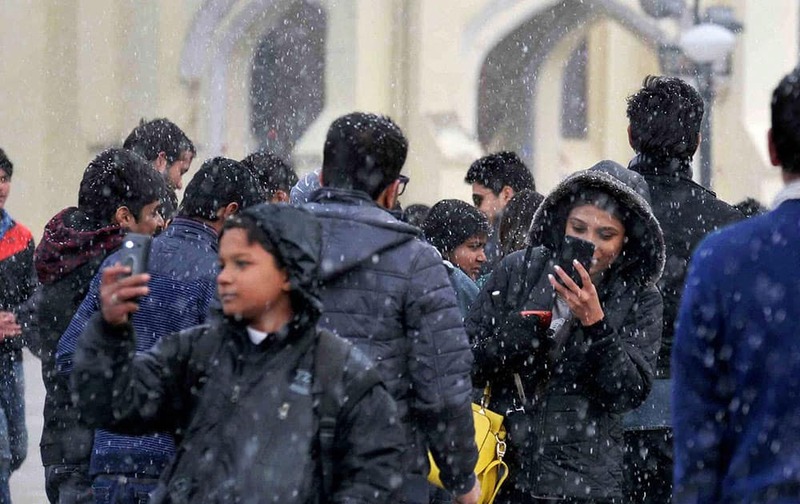 People enjoy the snowfall in Shimla. 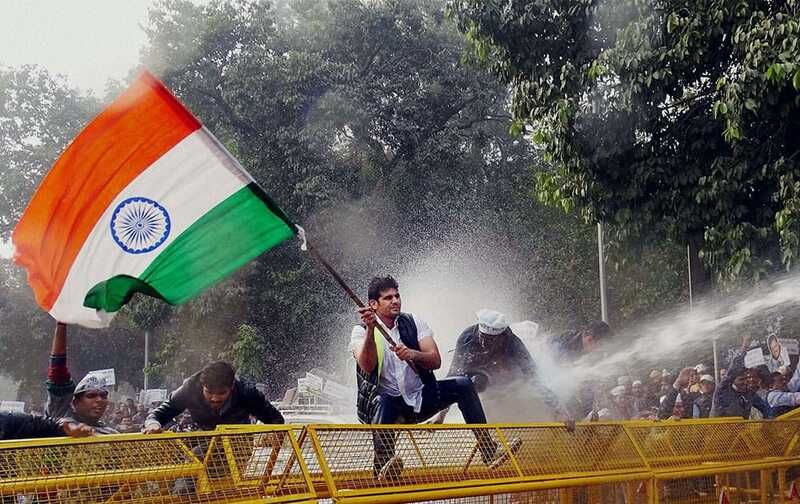 Aam Aadmi Party (AAP) volunteers face water cannons during a protest against Finance Minister Arun Jaitley near his residence in New Delhi. Nita Ambani, Founder and Chairperson, Reliance Foundation during christmas celebration with underpreviledged children in Mumbai. 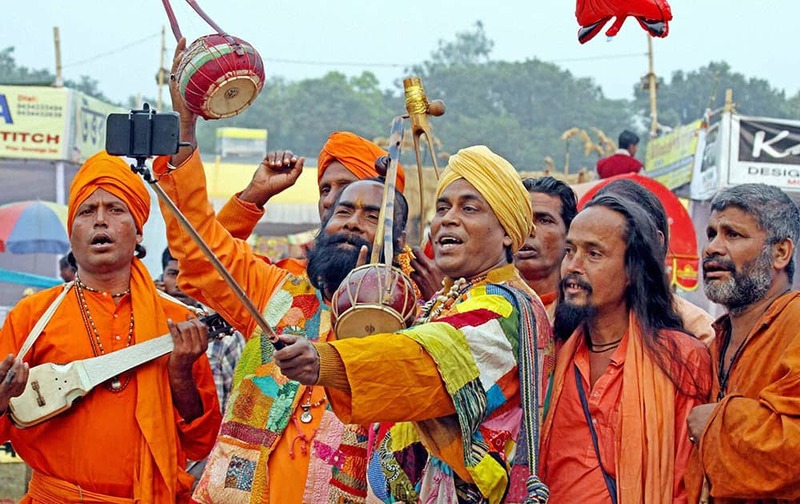 Rural folk singers (bouls) take a selfie on their arrival to participate in the 121st Santiniketan Poush Mela at Santiniketan in Birbhum district of West Bengal. 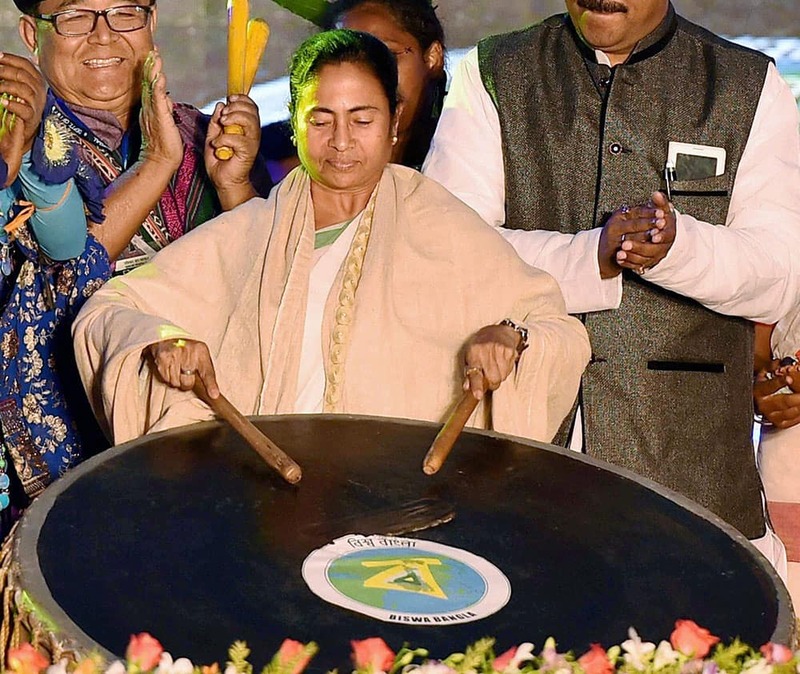 West Bengal Chief Minister Mamata Banerjee beating a drum during inauguration of Biswabangla Loksanskriti Utsav on a floating stage in kolkata. 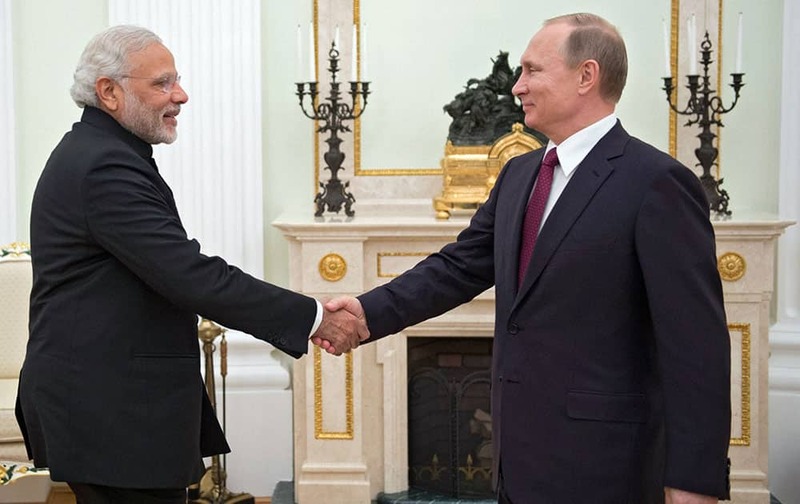 Russian President Vladimir Putin greets Indian Prime Minister Narendra Modi during their meeting in the Kremlin in Moscow, Belarus.